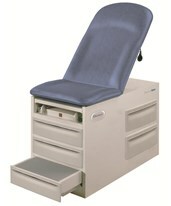 Encompassing a large assortment of manual exam tables from leading manufacturers such as Brewer and UMF. 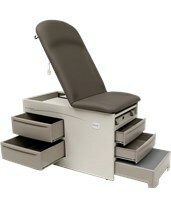 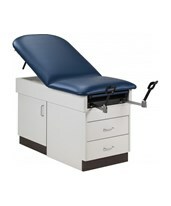 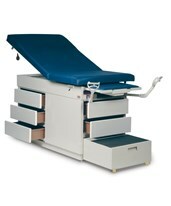 We make it simple to choose the perfect exam table for your healthcare facility. 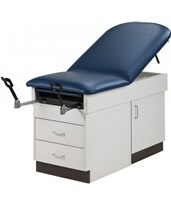 Choose between basic tables to more sophisticated adult and pediatric exam tables. 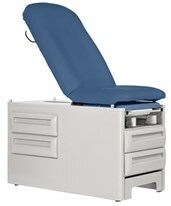 With a variety of colors, accessories, upgrades footstep position and amount of storage drawers the perfect exam table is just a click away! 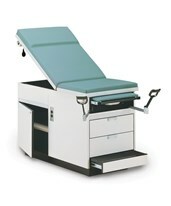 325 lbs. 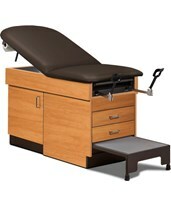 3-Year Warranty 20.5" x 11" x 8.6"
20.5" x 11" x 8.6"
Available in 18 standard upholstery color and custom colors. 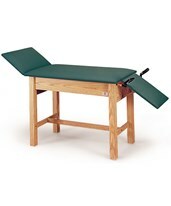 20.4" x 17.7" x 8"
Left and Right Configuration available. 18 Standard colors to choose from. 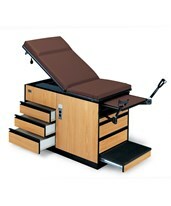 325 lbs 3 Year Warranty 20.5" x 11" x 8.6"